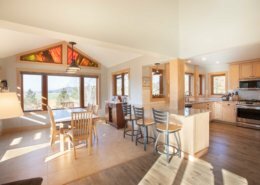 This rural, conventional home outside a Madison suburb was transformed with a mix of rustic mountain and modern design. 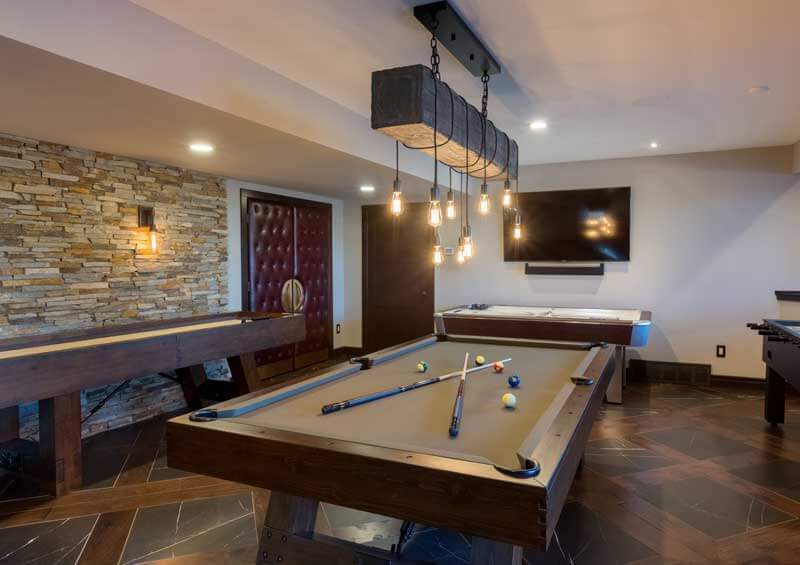 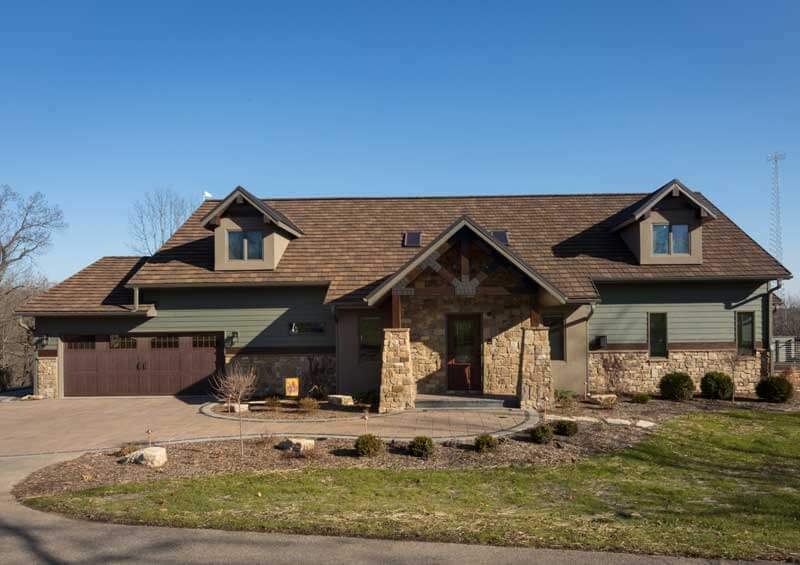 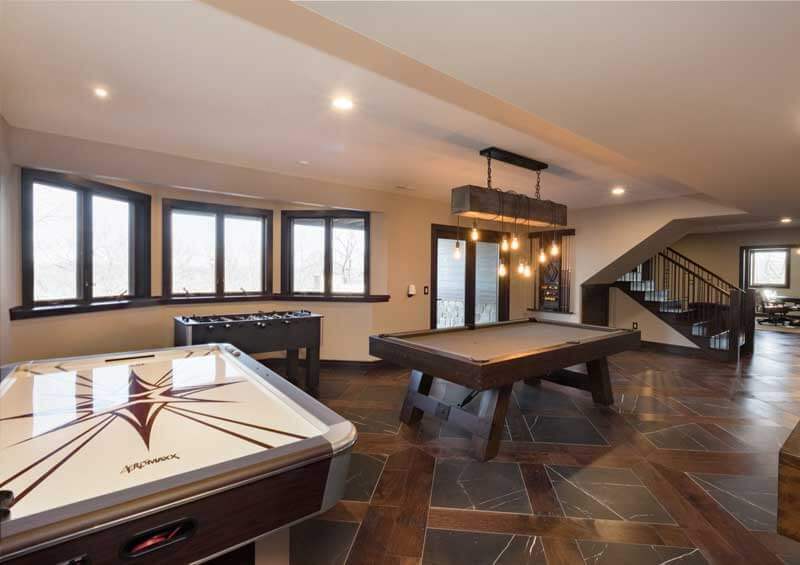 In addition to a complete exterior renovation, Vive Home Transformations constructed an addition for a master suite expansion and an enviable basement for entertaining, including a bar, theater room, combination poker and guest room, pool table, office and gym. 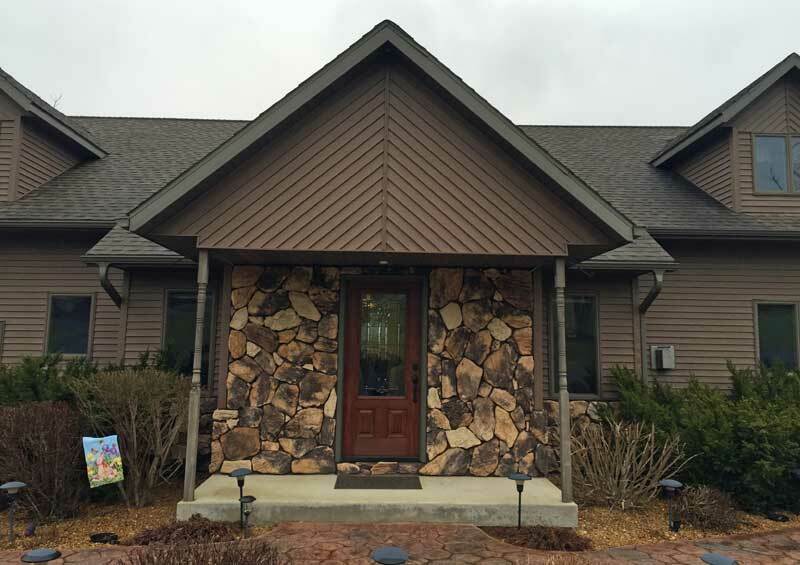 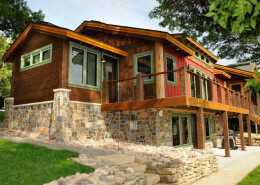 New siding is contrasted by a combination of stucco, stone, Douglas Fir timber, and metal shingles. 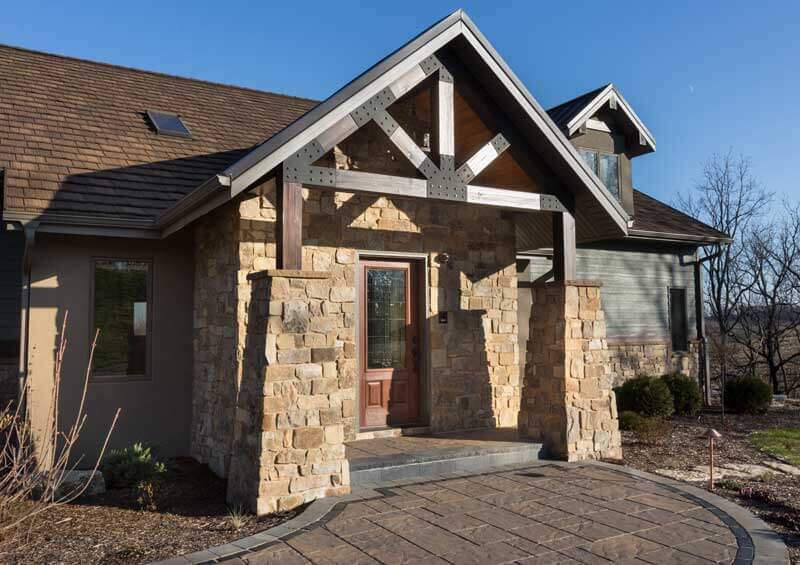 The existing covered front entry and stone wall were removed and replaced with this more rustic aesthetic, also including a tongue and groove pine ceiling. 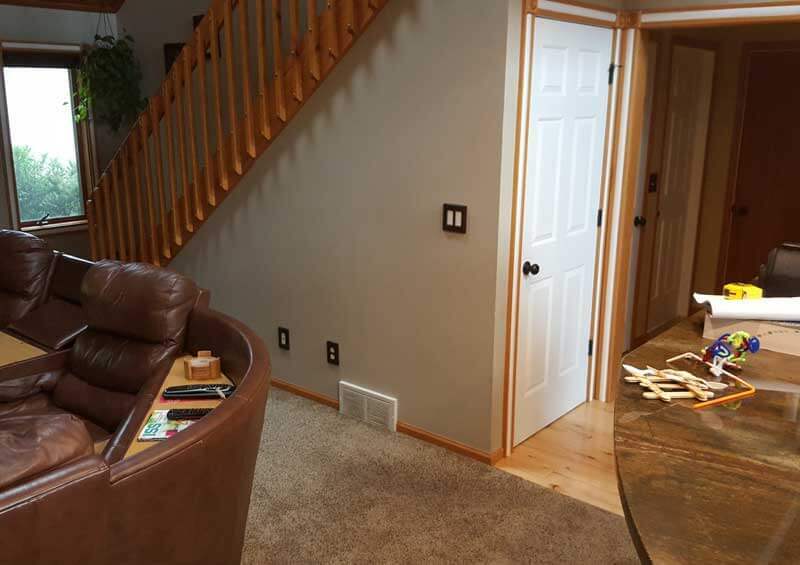 Two existing entrances into the garage were removed and replaced with one side entrance. 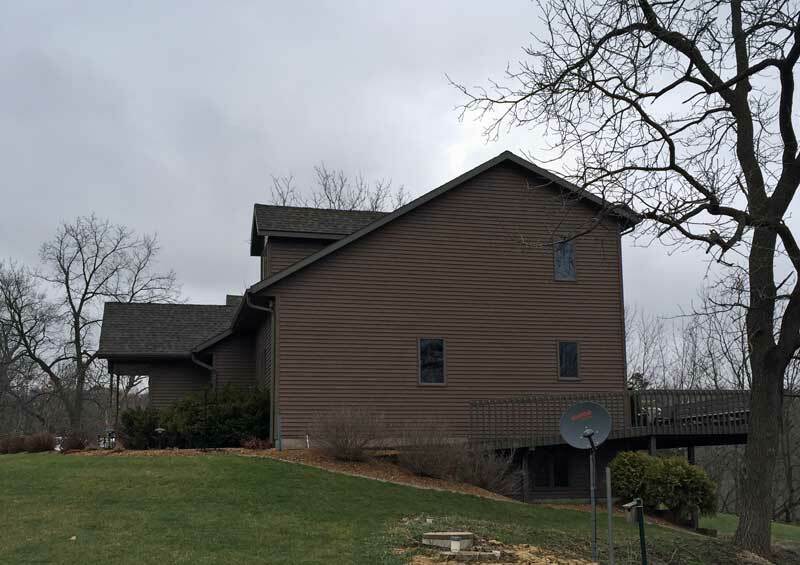 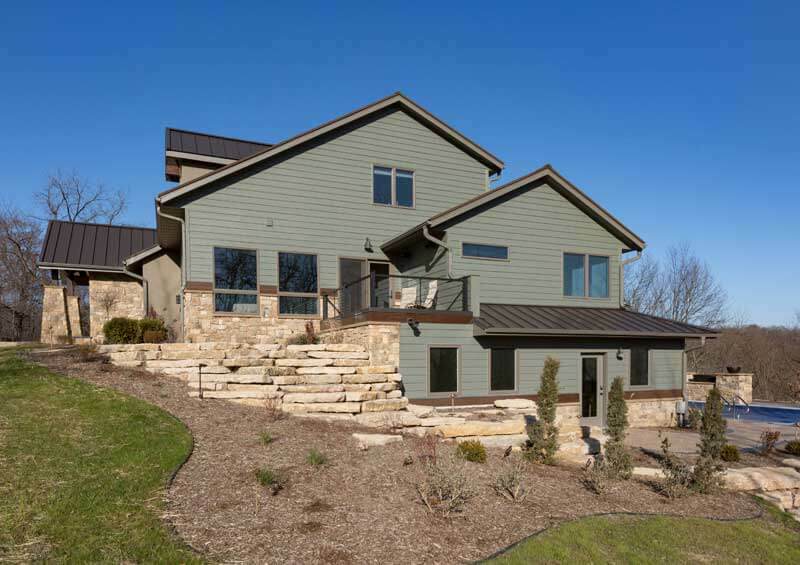 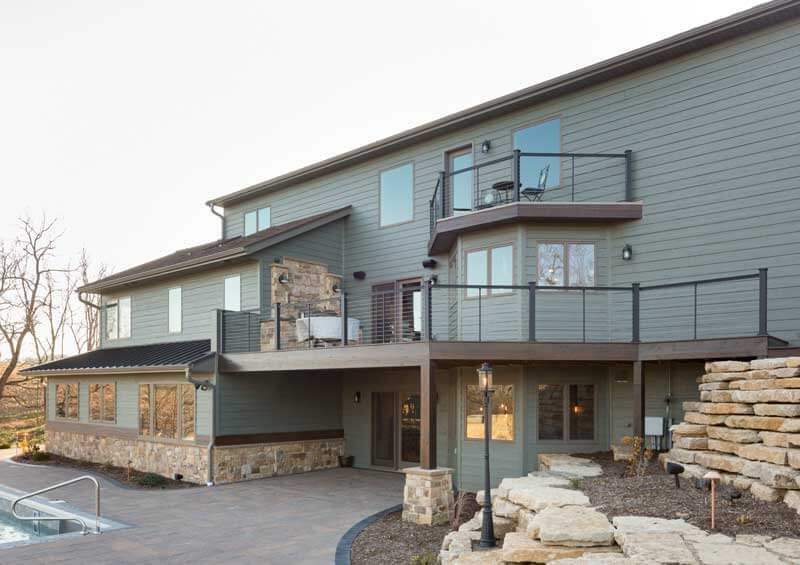 In the back of the home, the lower portion of the addition has bronze metal standing seam roofing. 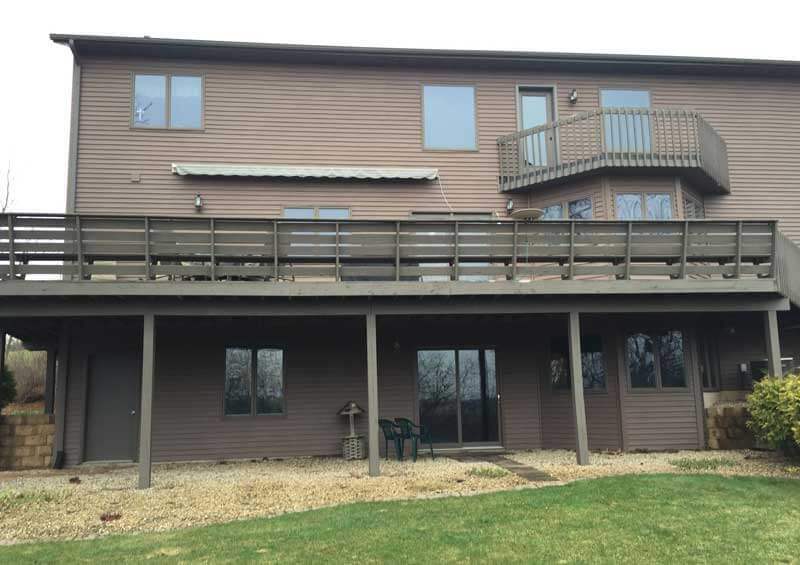 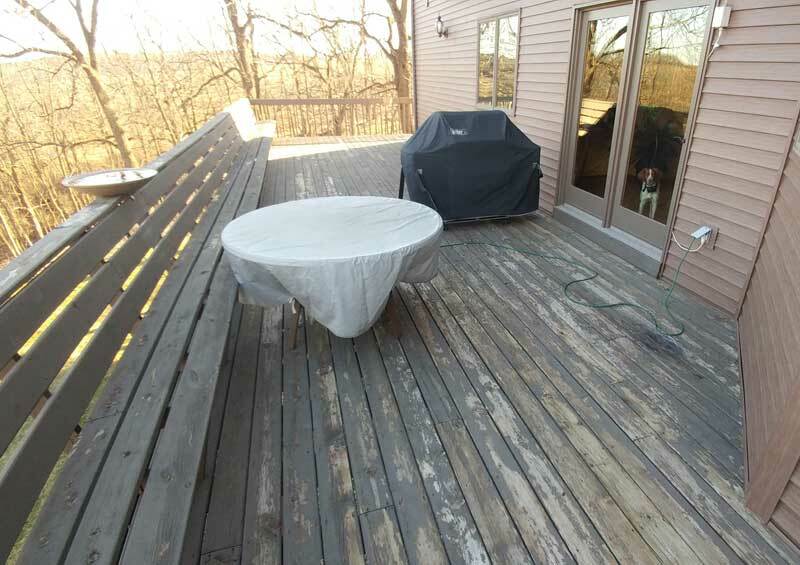 The existing wood decks were replaced with composite decking and black metal railing. 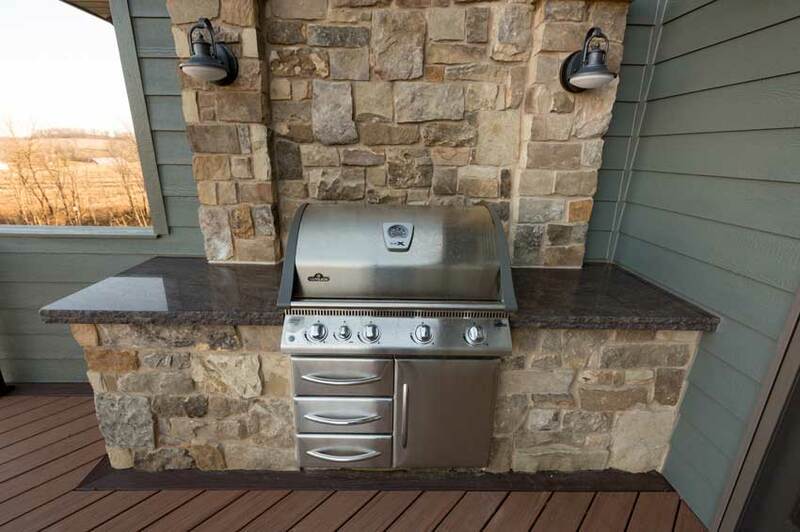 A new built-in grill with a granite countertop and stone wall is the feature of the deck. 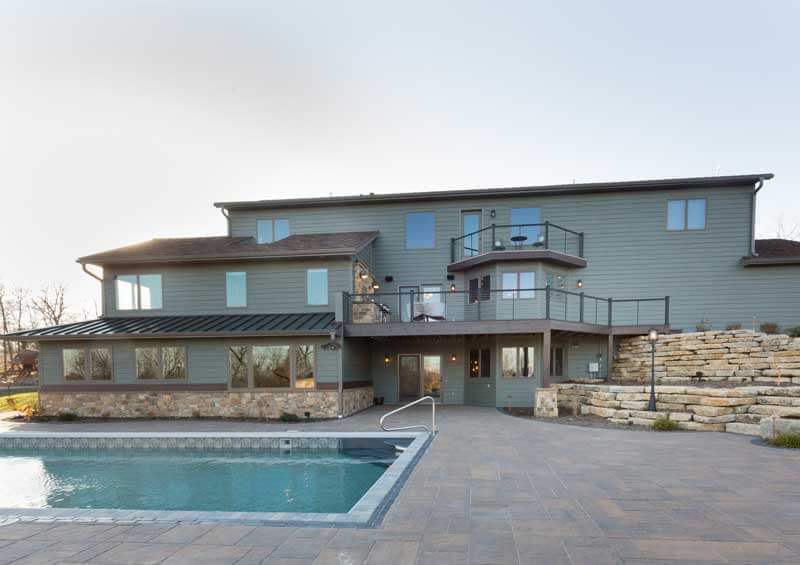 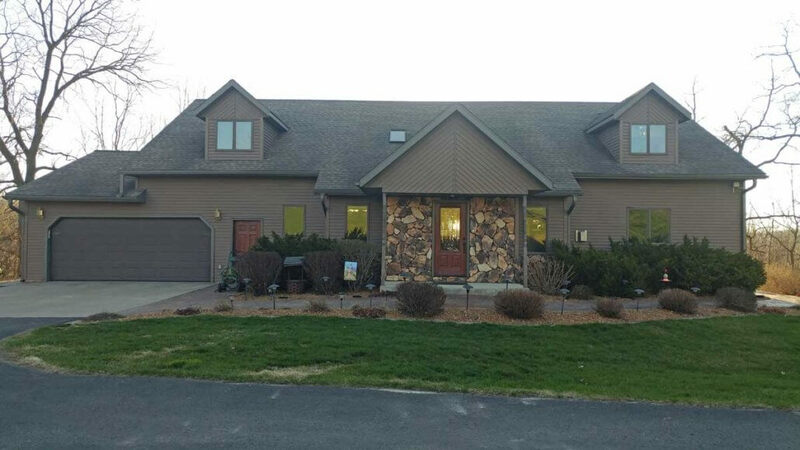 New landscaping, pavers, retaining walls and a swimming pool complete the exterior. 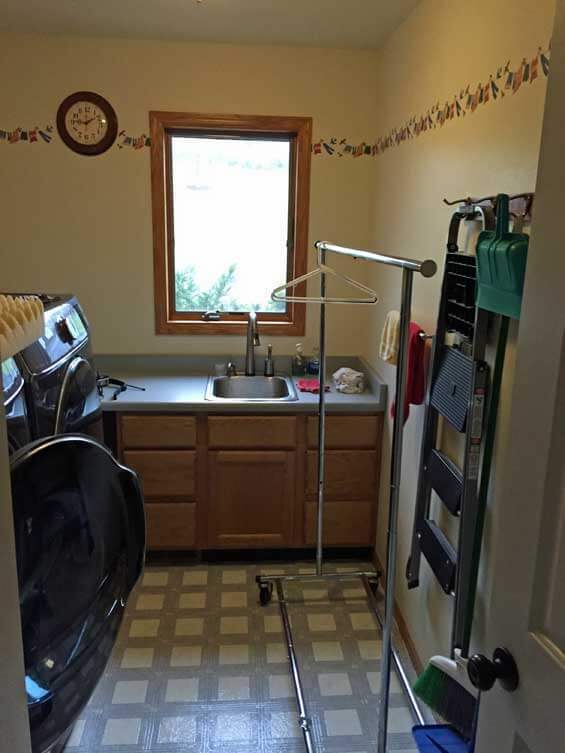 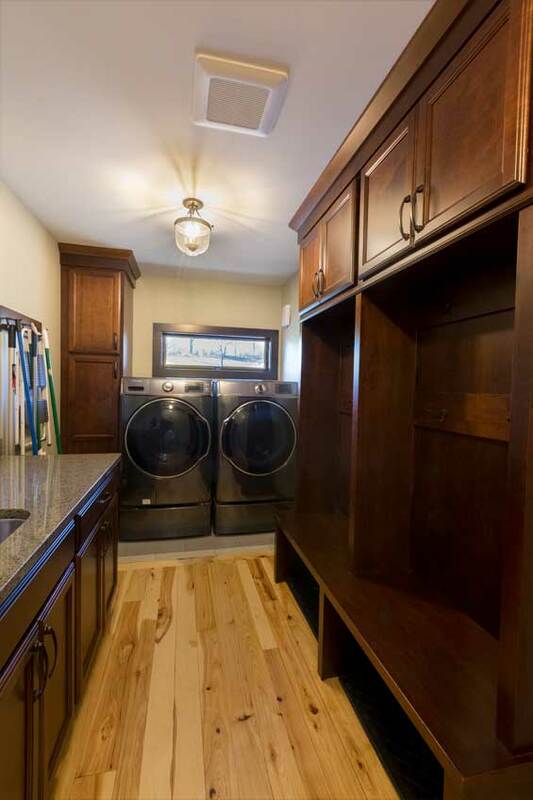 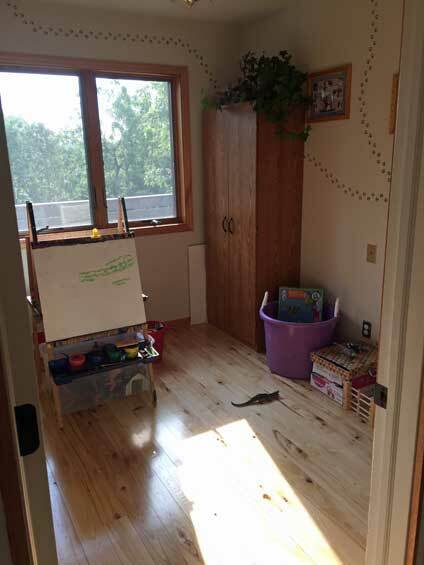 Vive reconfigured a cramped mudroom and laundry room to allow for larger work space and built-in storage. 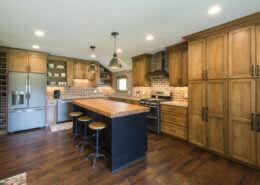 In the kitchen, just one simple change was made: a pot filler above the stovetop. 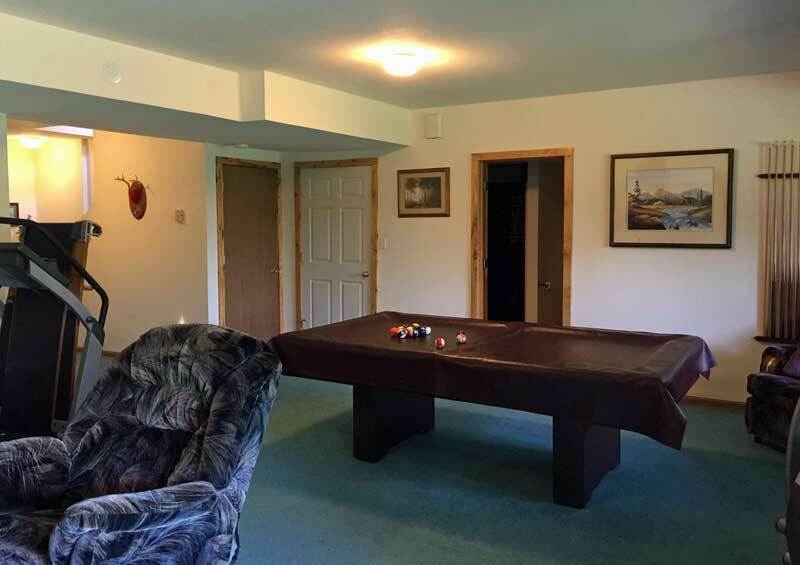 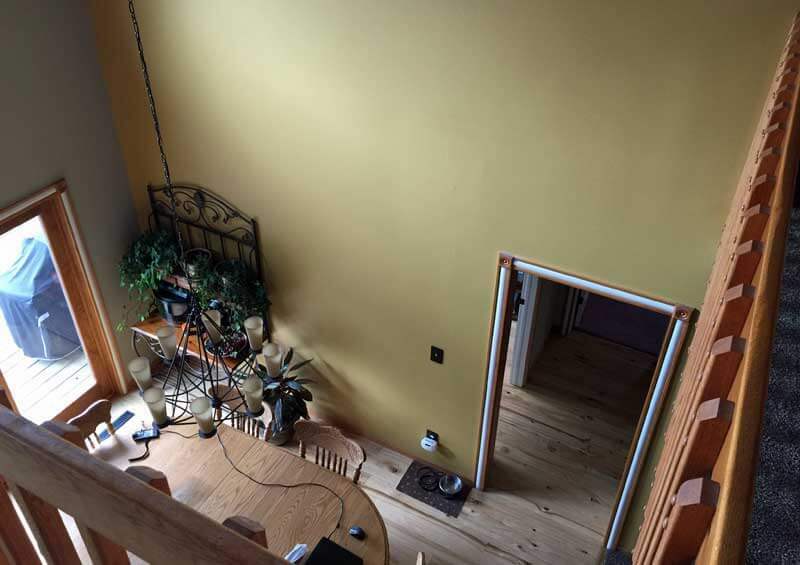 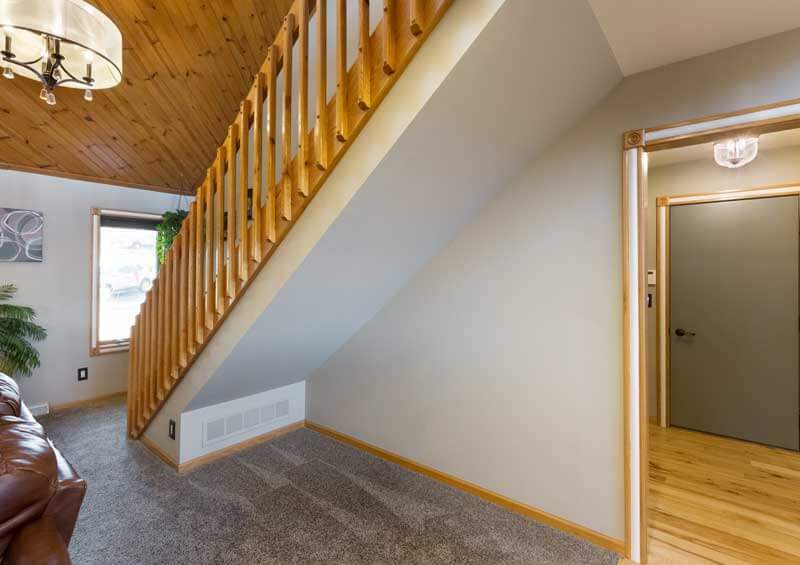 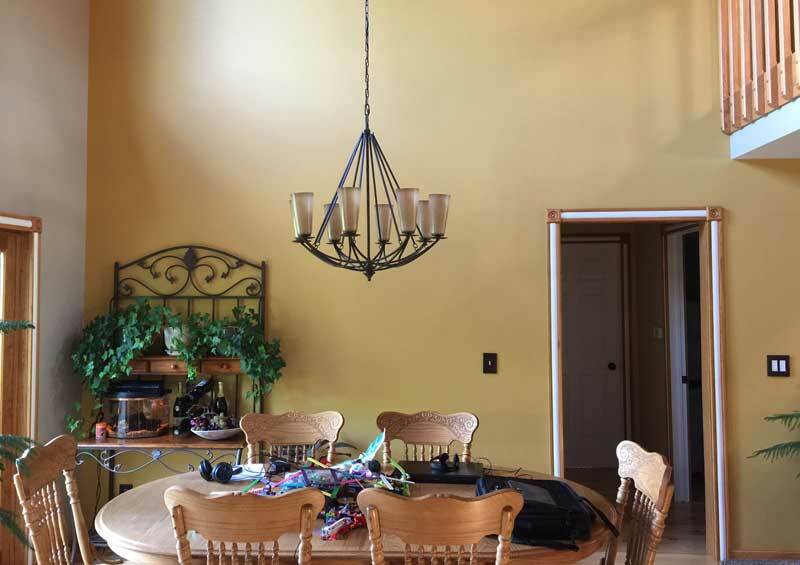 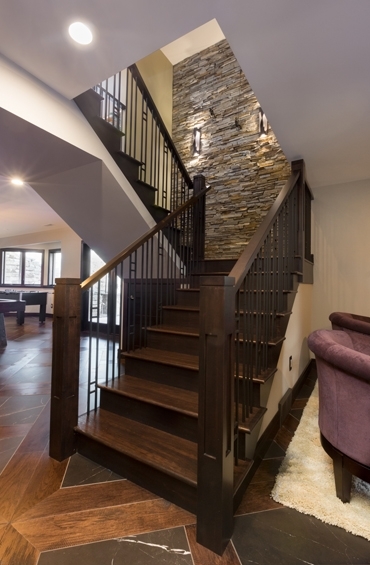 In the main living space, an existing closed staircase to the basement was relocated to the former play room. 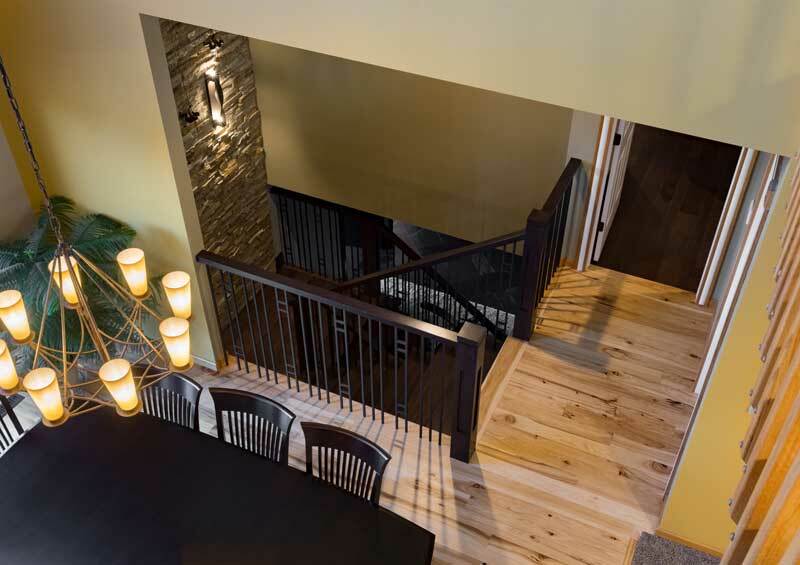 The new, open staircase features a stone accent wall and cherry espresso colored railing with metal spindles. 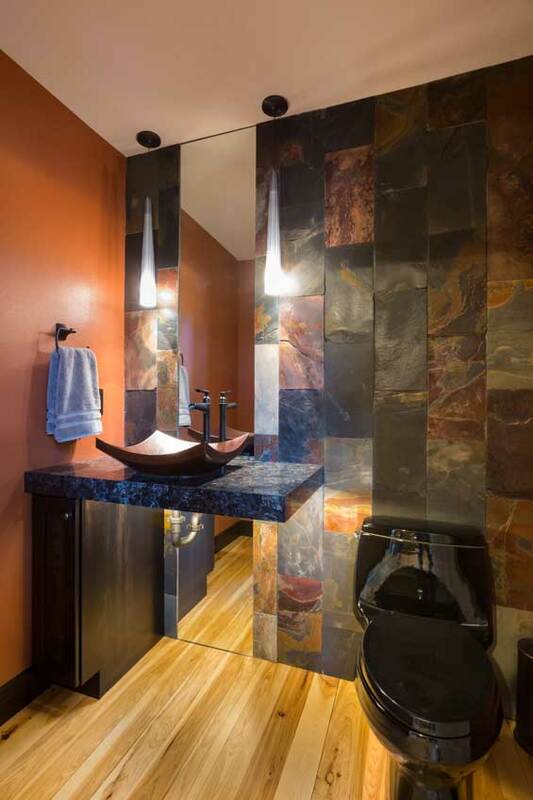 The powder room was given a rustic, modern aesthetic with a ceramic tile wall, copper vessel bowl, cherry onyx finished vanity and Cambria quartz countertop. 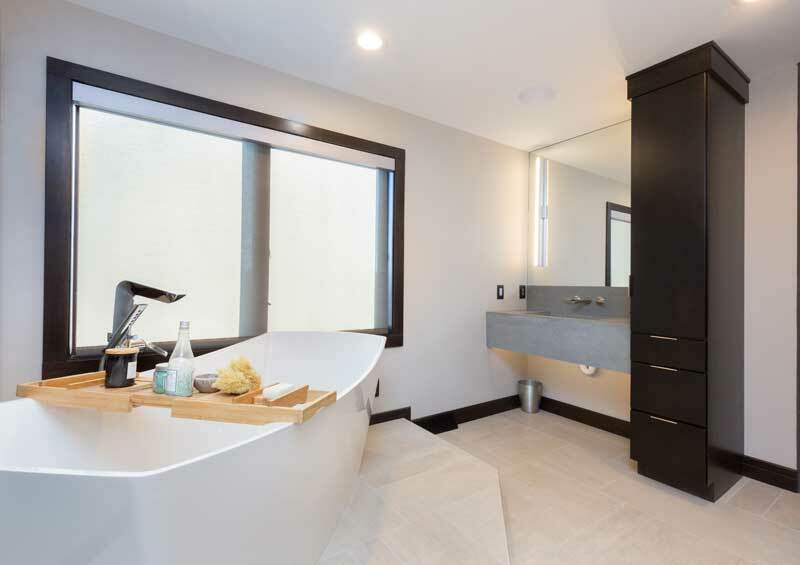 A floor to ceiling mirror adds interest and creates the illusion of a floating vanity. 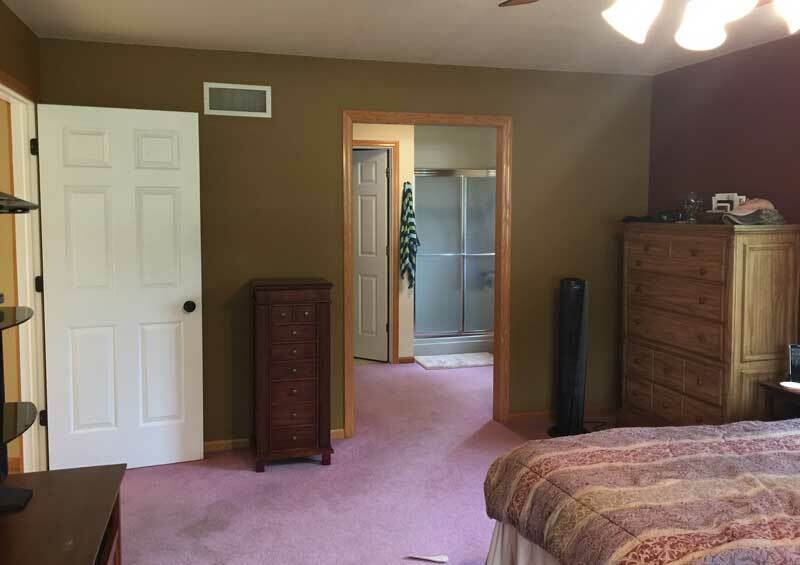 Vive remodeled the existing master suite and constructed an addition to brighten and expand the space, specifically the bathroom and a second, walk-in closet. 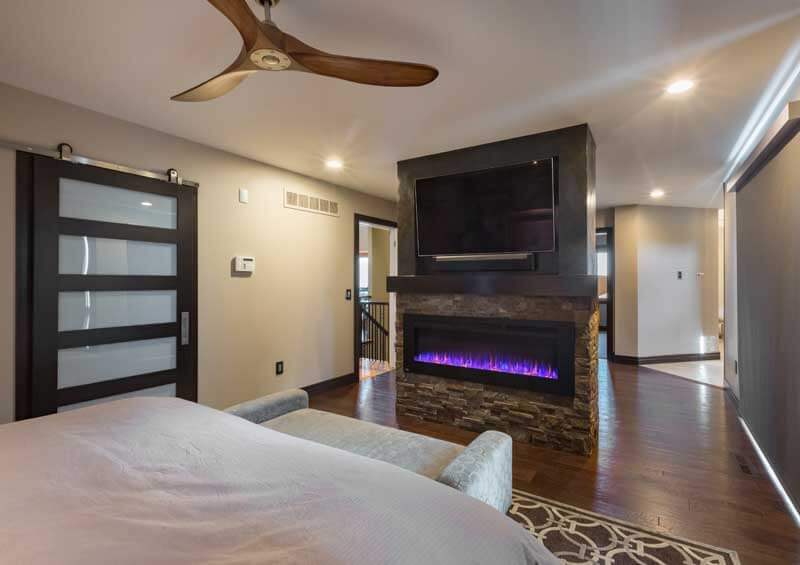 A stone-and ceramic tile-wrapped fireplace with a wood mantel separates the bedroom from the rest of the suite, highlights a valued piece of art and centrally locates the television. 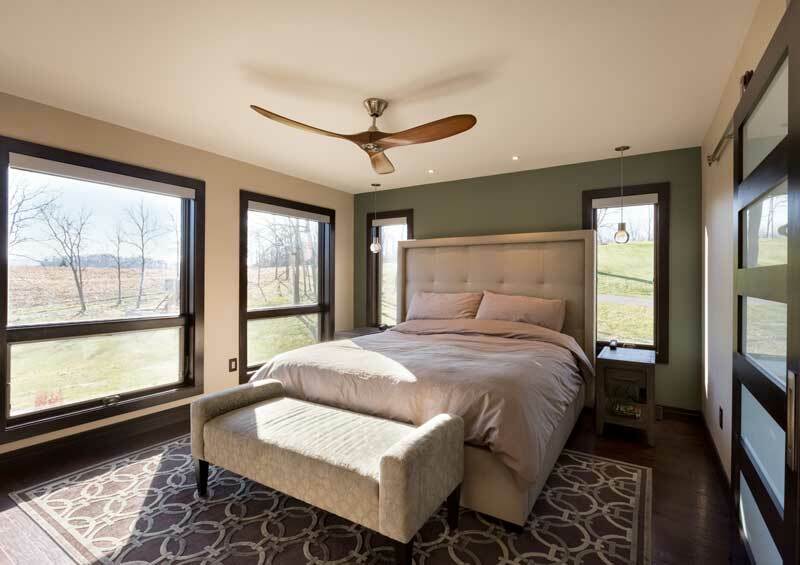 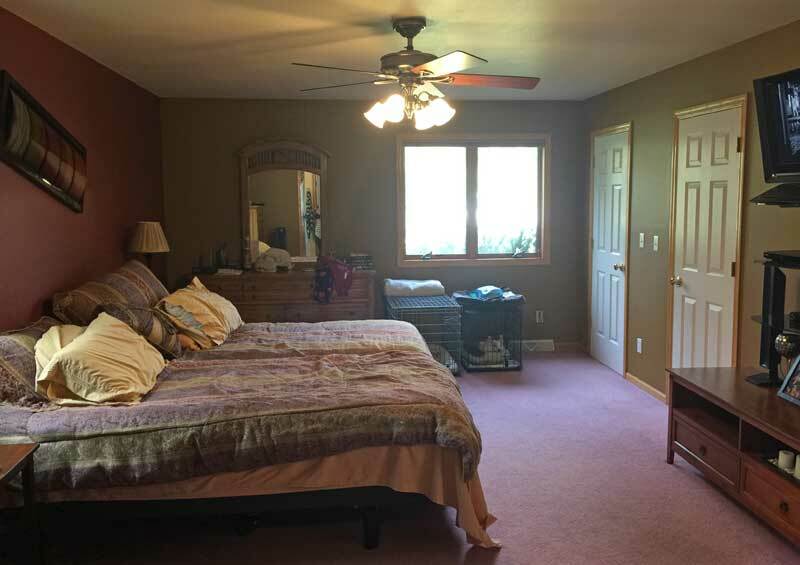 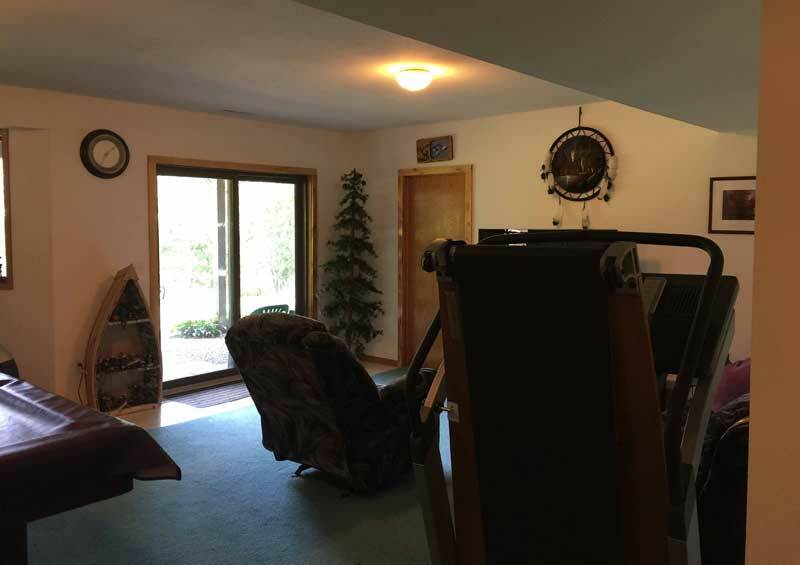 Other bedroom features include hardwood flooring, an improved view of the outdoors, remote operated blinds and a private deck. 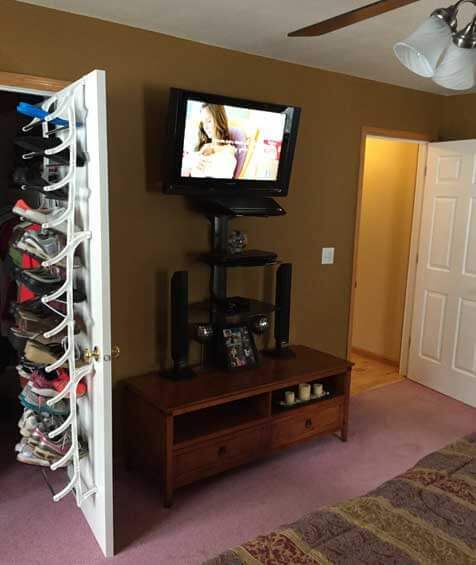 The existing closet entry was widened and a sliding door was added. 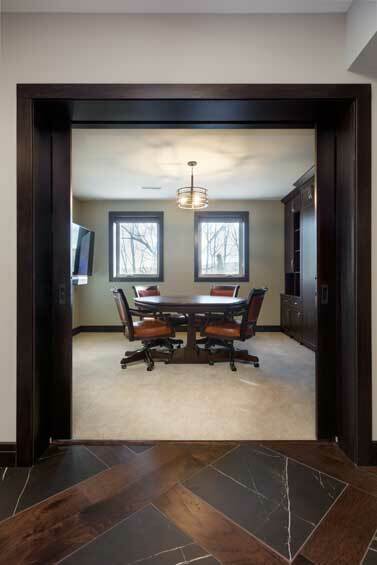 A second, larger walk-in closet was added that features cabinetry and a crystal chandelier. 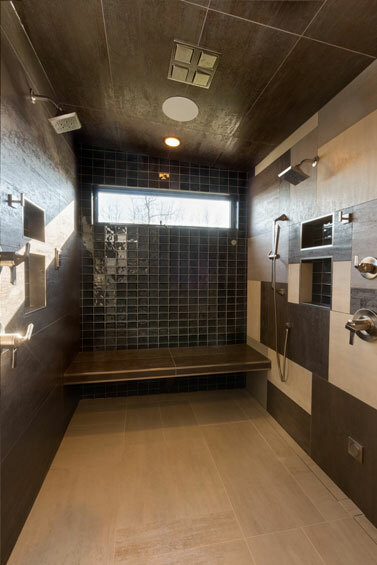 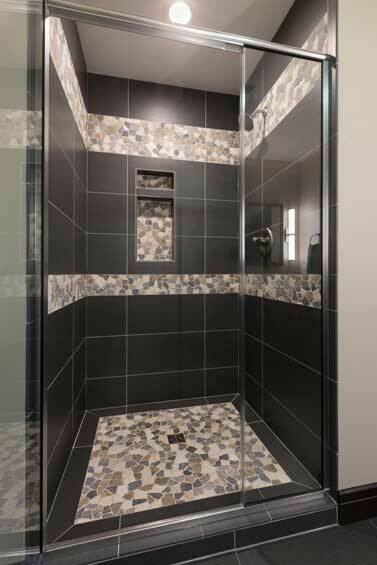 The Jack and Jill style bathroom features a zero-entry steam shower, a bench and a free standing tub atop a raised platform. 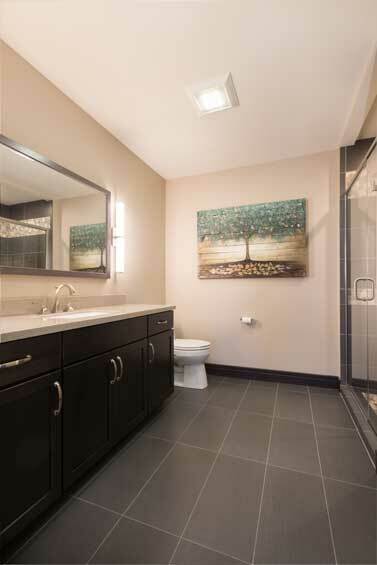 Concrete countertops with integrated trough sinks, cherry finished cabinetry and ceramic tile flooring complete the space. 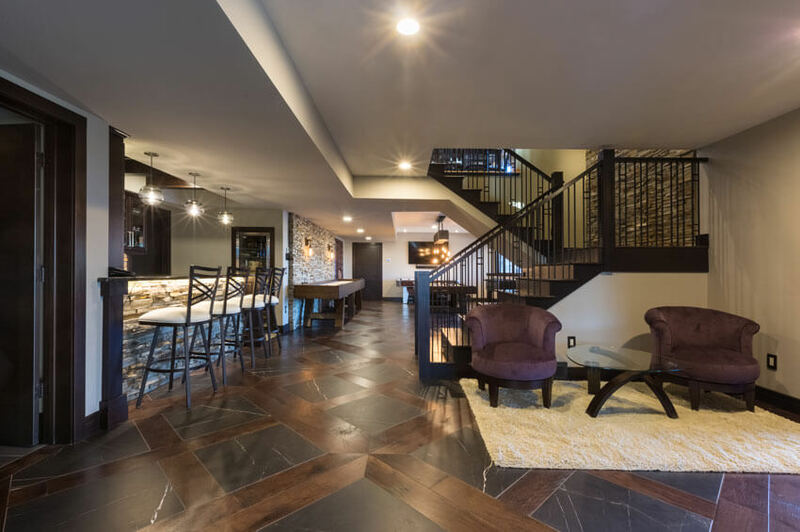 Combination engineered hardwood and ceramic tile flooring is a key feature of the transformed, existing main recreation space. 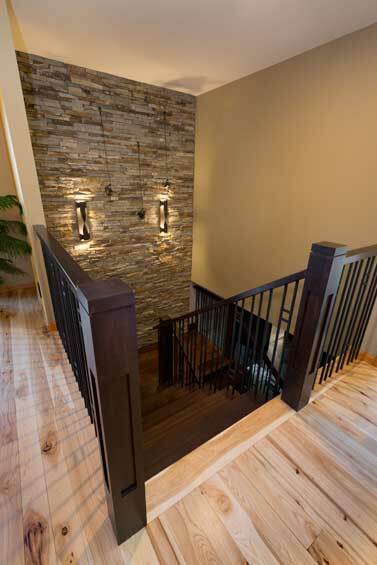 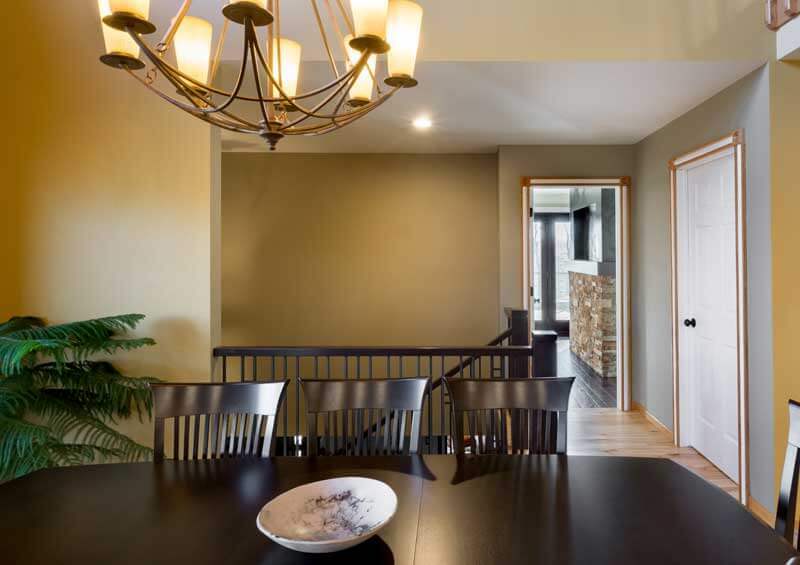 Other features include a floor to ceiling stone accent wall, a large timber light fixture, and seating beneath the stairway. 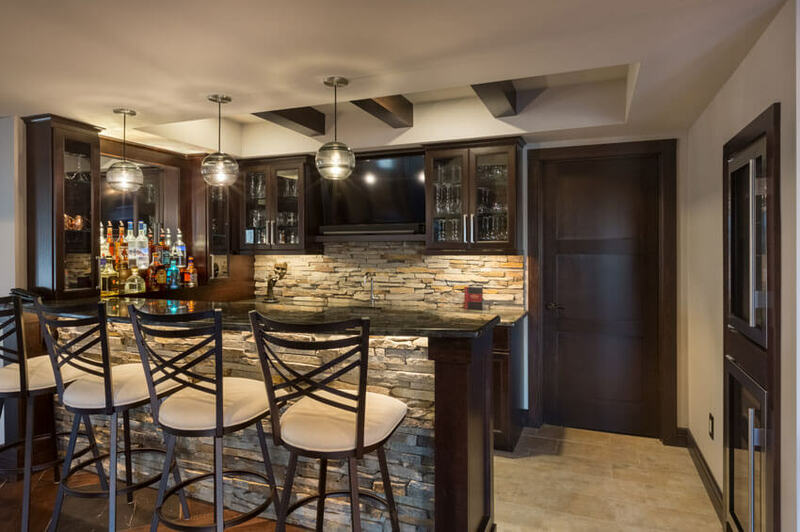 Wet bar finishes include espresso cabinetry with Quartzite countertops, timber ceiling beams, wood columns and a natural stone veneer wall and backsplash. 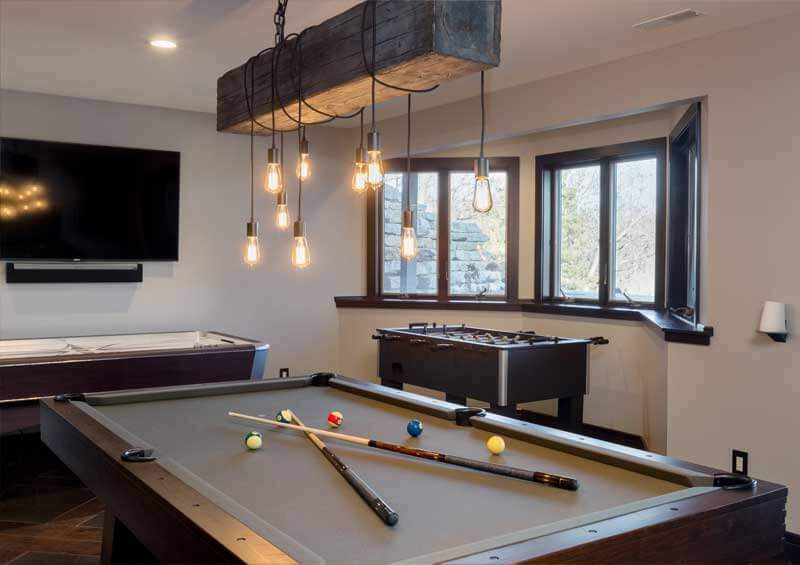 Clear glass shelving above puck lights highlight notable pieces of the client’s liquor collection. 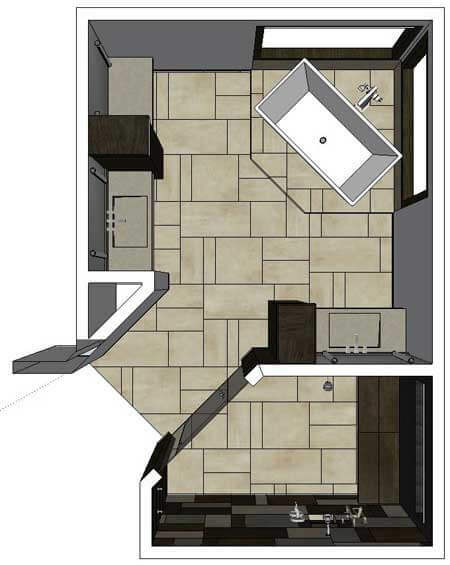 Also incorporated are a pantry, undercounter lighting, ice maker, fridge, wine cooler, dishwasher and microwave. 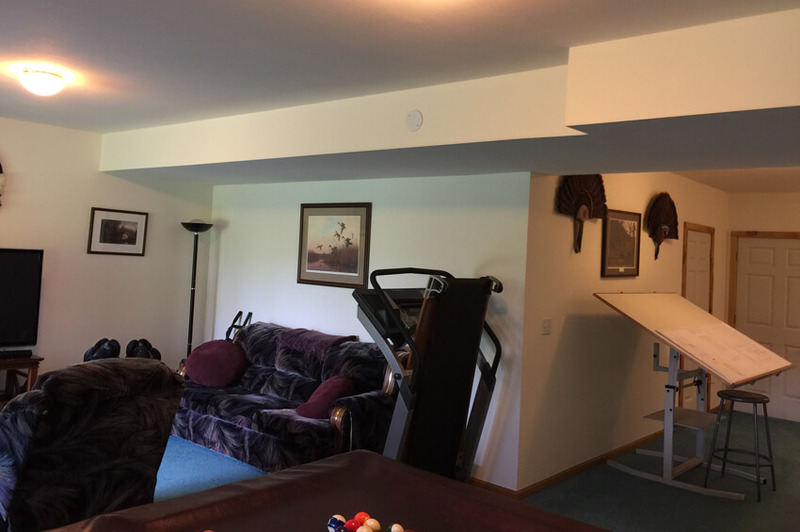 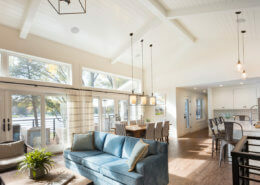 The layout of the addition encompasses a gym, office and flex room. 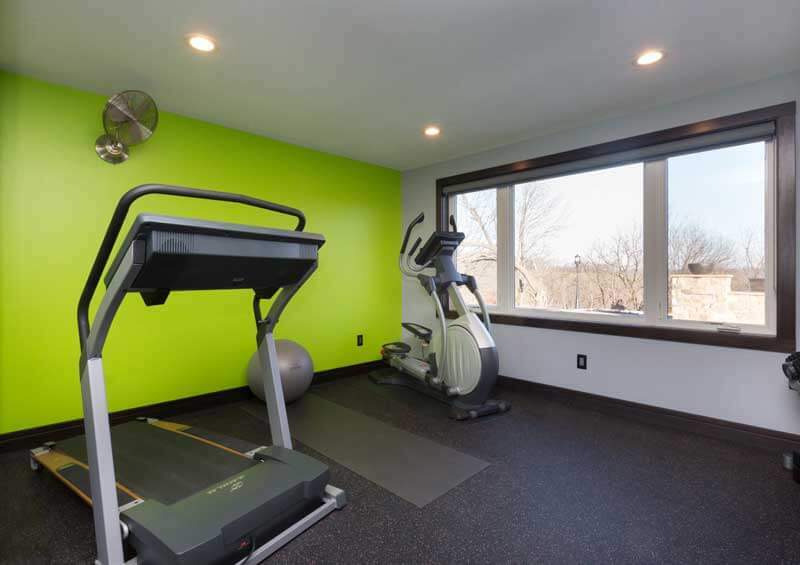 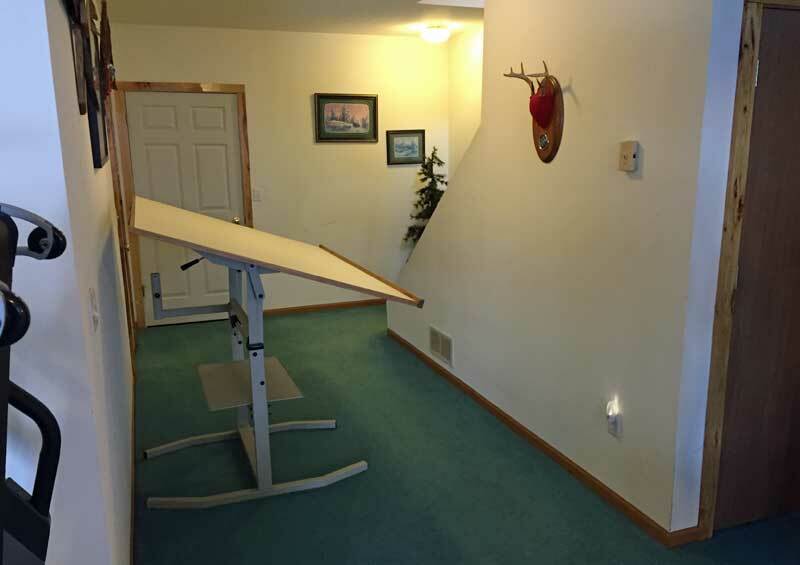 Gym finishes include rubber flooring and a bright accent wall for motivation during workouts. 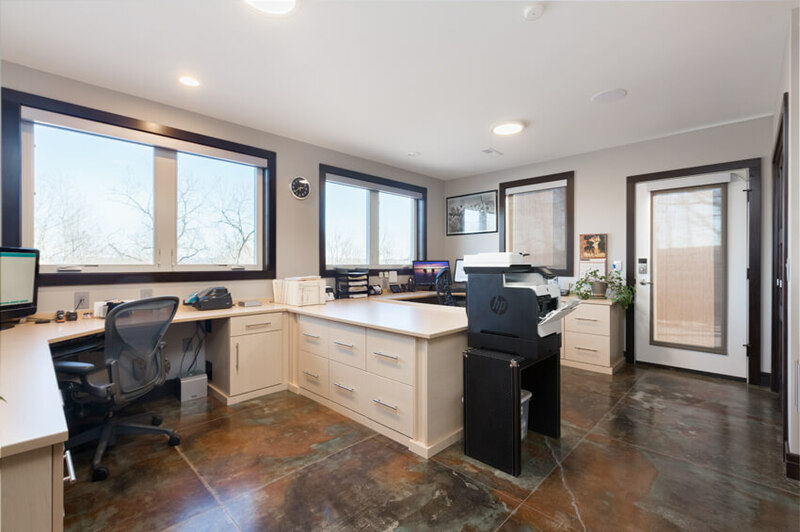 The office has outside access and stained concrete flooring with radiant heating. 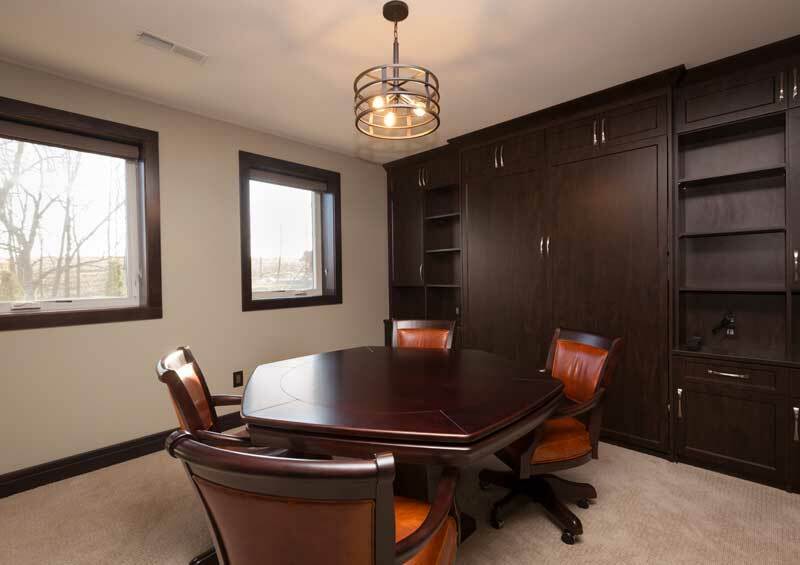 Pocket doors open to the flex room with custom built-ins including a Murphy bed that transitions the space from poker to guest room. 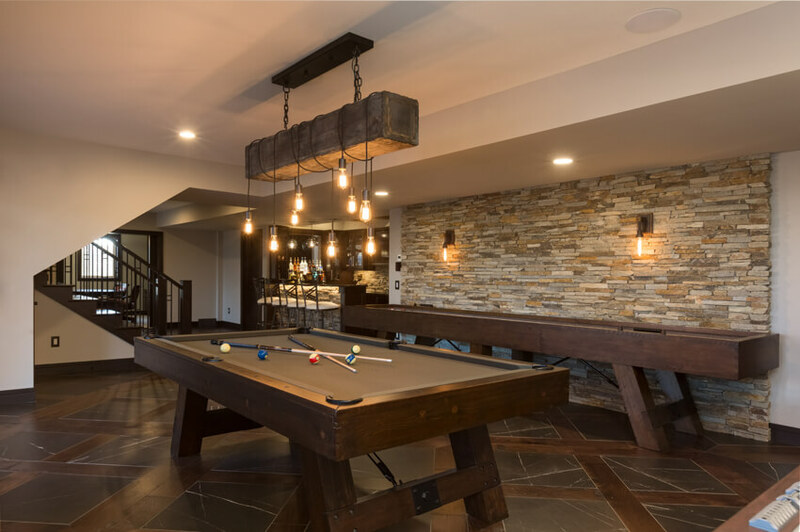 Back in the original basement, a theater room was constructed from the former mechanical room and staircase. 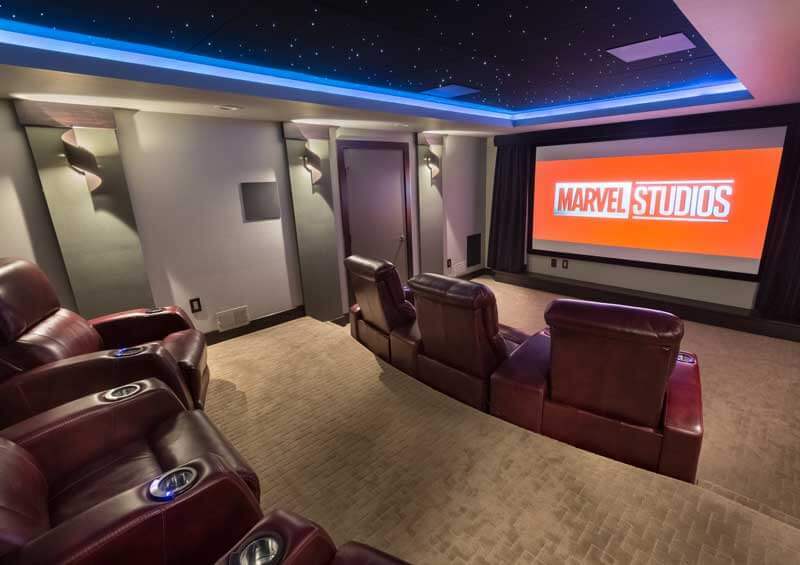 Padded theater doors stand out in the main recreation space, and raised seating and a tray ceiling inside make for an unbeatable viewing experience. 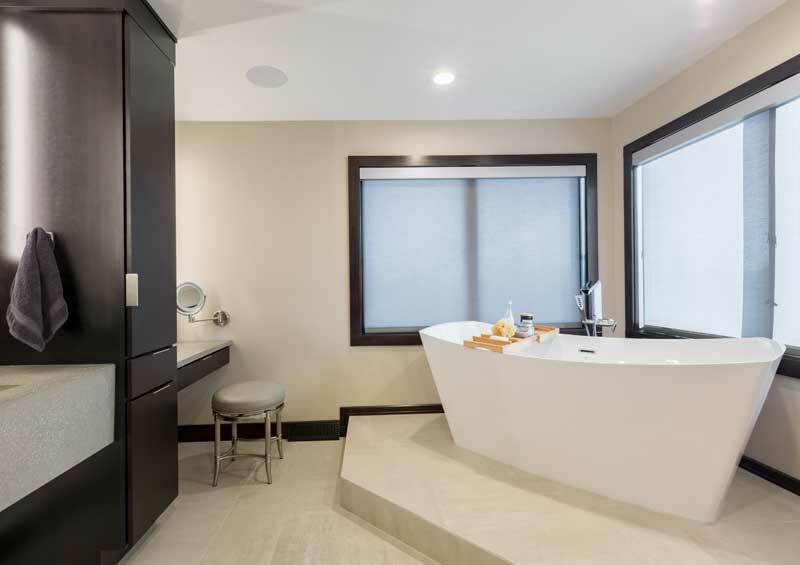 Former storage space is now a full bathroom with ceramic flooring, a tile shower, cabinetry in Maple Onyx finish and cultured marble countertop. 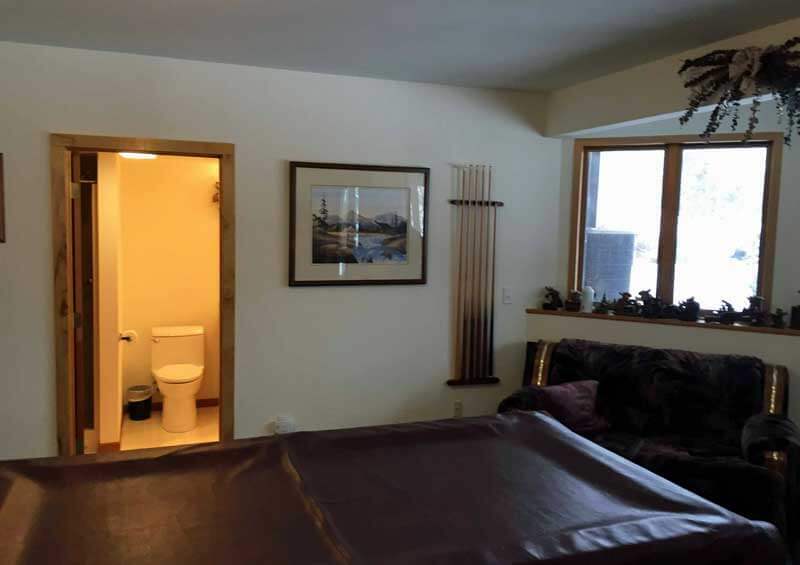 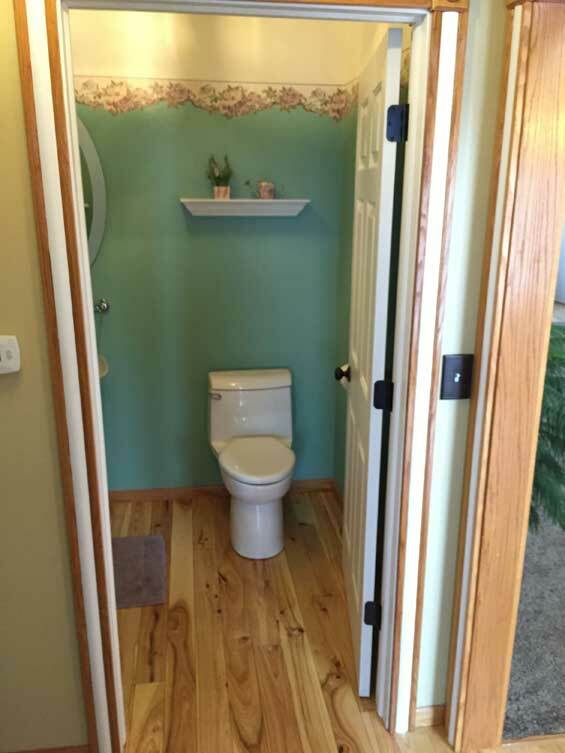 The former bathroom is now a mechanical space.